Q. My fitness club recently measured my body fat at 14%. What are the normal ranges for older men, and is body fat percentage a good way to determine a healthy weight? A. A 14% body fat is considered excellent for a healthy male, but it may not indicate a "healthy" weight. Body fat percentage, just like weight, depends on multiple factors that can vary per person, such as overall health, metabolism (how your body burns excess calories for energy or stores them as fat), amount of activity, and musculature. Also, where you store body fat has a significant impact on health risks. Even if your weight is close to the normal range, a large waist size may mean you have an unhealthy amount of belly fat (visceral fat). 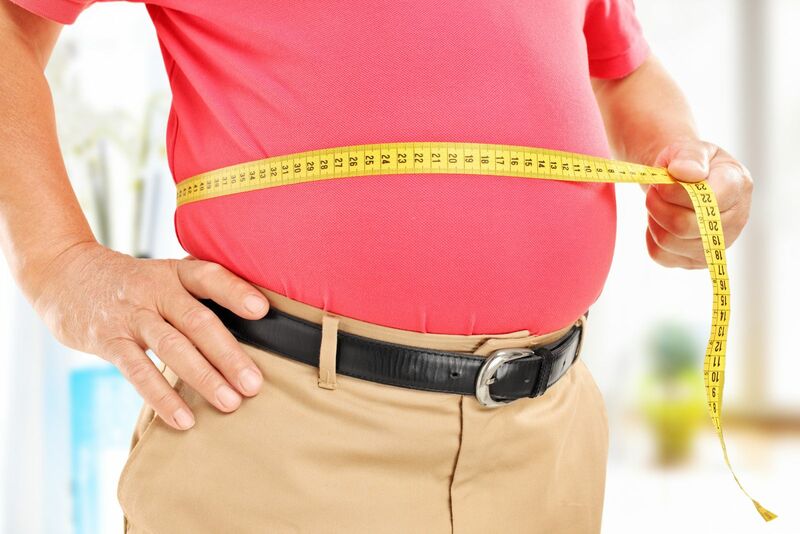 Larger amounts of belly fat increase the risk of diabetes and heart disease. Therefore, it's possible that you could have a good overall body fat percentage yet still be at higher risk if the fat is concentrated at your waistline. Rather than just relying on one measurement like body fat percentage or body mass index (a calculation based on both weight and height) to determine if you are overweight, I suggest using two measurements: waist size and ratio of waist size to hip size. Waist size. Wrap a measuring tape just above your navel to find your waist size. Ideally men should strive for 35 inches or less. Ratio of waist size to hip size. Measure your hips around the widest part of your buttocks. Then divide your waist size by your hip size. The ideal waist-to-hip ratio for men is 0.9. If your number is higher, you may have too much belly fat.